Exclusive to Agility Print, our powerful Gloss Impact!® press is capable of cost-effective digital clear, silver or gold printing. Ideal to add that special finishing touch to important presentation printing, this Gloss Impact!® treatment gives your printing extra flare. Much more cost effective than foil overlay, digital clear, silver or gold printing is perfect for certificates, invitations or any printed piece that needs to stand out and present a higher level of elegance. Stop in and have a look at our samples of Gloss Impact!® clear, silver or gold printing – you will be impressed. Gloss Impact!® clear, silver or gold printing is simply the best, and is a unique capability to Agility Print. Gloss Impact!® gives your presentation, book, brochure, flyer or postcard real pizzazz. Watch how people inspect and admire the images on your pages… much more impact than a normal print. Our Gloss Impact!® printer is a digital printer that can lay a tactile, clear gloss, silver or gold layer on your marketing materials. Whether it be total coverage or highlighted in certain areas or images, it definitely gives your printed material that extra edge. Agility can print certificates with data merged information in Gold or Silver. It can also add clear images and watermarks to the certificate that can’t be photocopied or scanned – giving your printed material added security. Ask us for a copy of our Gloss Impact! book. Use Gloss Impact! Clear for creative spot or flood effects inline. Agility’s Gloss Impact! Clear provides a new dimension for your printed materials, helping you differentiate your product or service. With Gloss Impact! Clear, you can highlight images for visual variety, making them pop off the page; draw attention to headlines and variable text; highlight photos, logos or variable images; create artistic effects; and add watermarks and visual value to your marketing materials. Gloss Impact! Silver and Gold adds sparkle and shine. Like Gloss Impact!® Clear, Agility’s Silver and Gold options can add a brilliant dimension to your printed materials. These unique inks are more than digital simulations. 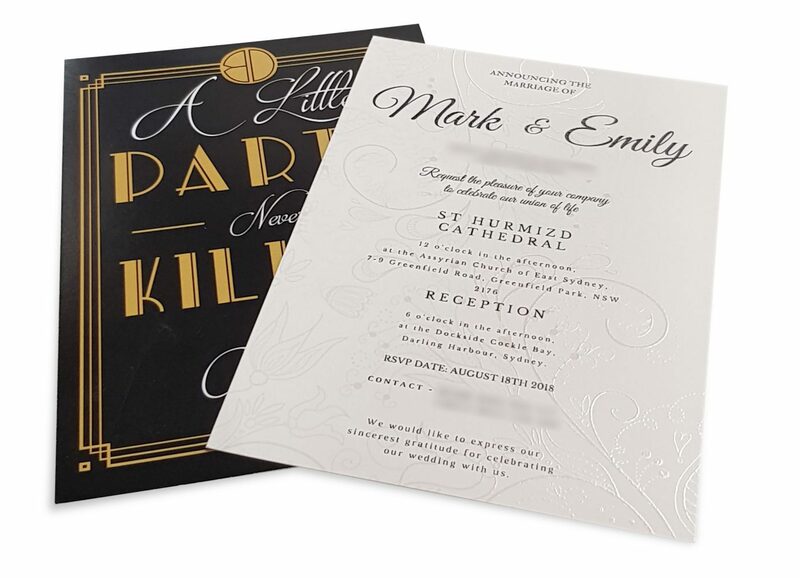 They are real metallic inks that let you migrate more of your printing to on demand – printing that previously ran offset with costly offline foil stamping such as invitations, certificates, business cards and more. Unlike foil stamping, however, the Silver and Gold Impact! can be used to add an extra layer of shine to photographic imagery, enhancing the metallic look of a wide range of commercial and photo applications. And, since the Agility Press is digital, you can integrate either Gloss Impact! Silver or Gold into personalised communications, boosting the perception of your product or service with eye-catching, premium looking printed materials. Celebrating a wedding or other major event? Agility Print’s GlossImpact! is an affordable way to add something special to invitations, RSVP cards and more. 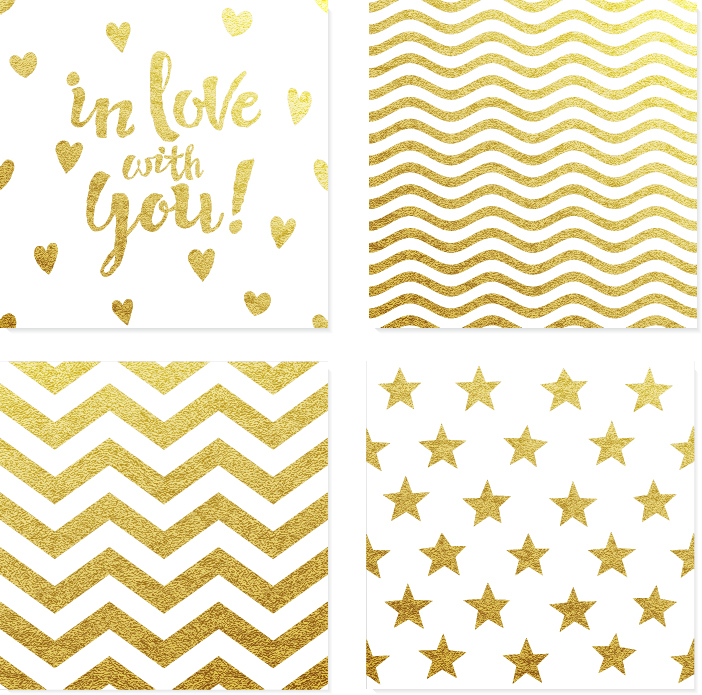 Create elegant restaurant menus, place cards and other printed collateral with dazzling gold and silver accents. GlossImpact! is the perfect solution for every project, from packaging and product labels to letterheads and custom stationery. Contact Agility Print today to learn more about how you can use GlossImpact! on your next order!